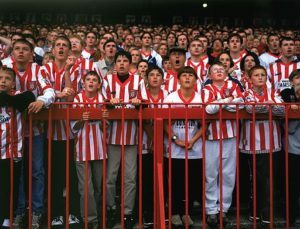 John McCormick writes: I had to check with the Statcat when this one came up – why did I not see us play at QPR when I lived in London? It transpires they were promoted in 1973. I was busy that year and didn’t notice them going up, just before I moved to London, and by the time we joined them in Division One I was on my way to Liverpool. Did I miss something special by not going to see QPR when I had the chance? In the early 1970s they were quite a team, with the likes of Stan Bowles, Gerry Francis and Rodney Marsh exciting the crowds. However, Rodney Marsh moved on in 1972 and there are those who argue QPR were never the same without him so I probably didn’t. 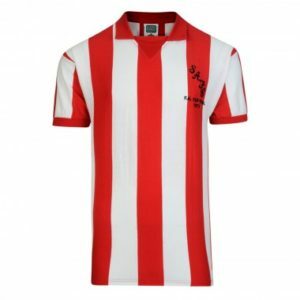 Back we go to the 1960s – August 20th 1968 to be precise and my first visit to Loftus Road as the mighty Sunderland took on the newly promoted West Londoners in front of 20,500 people on a warm summer’s night in the capital city. I had travelled down on John Tennick’s bus, having saved my paper round money (some things don’t change) and raked up a bit extra from selling dusters and furniture polish door to door. The coach must have parked somewhere near the ground in that maze of streets that surround the ground. There was parking in those days as car ownership was considerably less than it is now. Have a look at Kes when Billy is walking through the streets of his Barnsley council estate, you can count the number of cars on your fingers. No need to take your socks off. 1968 was a very interesting year. Culturally, it gave us The Graduate and The Odd Couple, two films that showed Hollywood at its best and still stand up 50 years later. The partnership of Jack Lemmon and Walter Matthau in the latter is only eclipsed by Mike and Bernie Winters at their best, while which seventeen year old didn’t lust over Anne Bancroft and think that Katherine Ross was a wee bit prissy? Musically, The Beatles were about to release their White Album, Simon and Garfunkel’s Bookends was at the top of the L.P. charts and Mrs Robinson was behind The Crazy World of Arthur Brown’s Fire in the singles charts. The Kinks were in the mid 20s with Ray Davies’s best song Days (I’ll have that one when I shuffle off this mortal coil, please), Dusty was closing her eyes and counting to 10 while the excellent PP Arnold sang Angel of the Morning at No 30. Nancy Sinatra was recording with Lee Hazelwood and came up with Some Velvet Morning and The Moody Blues sang the praises of Timothy Leary on In Search of the Lost Chord. Happy days……. It was a huge year for politics as well. Martin Luther King and Bobby Kennedy had been assassinated while their country was deep in the mire of the Vietnam War. The North Vietnamese had launched the Tet Offensive, the third and crucial phase of which had started as I was delivering the News of the World and Sunday Sun to the inhabitants of Byerley Road and its environs. Thousands on both sides were killed in the attack which made President Johnson realise that the People’s Army of Vietnam was probably unbeatable. 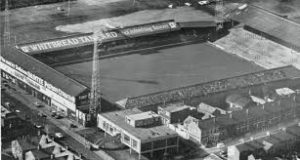 The game was QPR’S second home game in their inaugural First Division season. 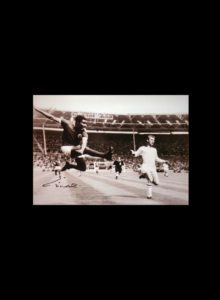 They won the Football League Cup in 1967 and swept through Division Two on the back of Rodney Marsh’s sublime skills and they were very much media darlings. Being the closest club to the BBC Television Centre at Shephard’s Bush was a help. Jimmy Montgomery; Martin Harvey, Len Ashurst; Charlie Hurley, Colin Todd, Ian Porterfield; George Herd, Gordon Harris, Bruce Stuckey, Colin Suggett, George Mulhall sub; Cec Irwin for Len Ashurst at half time. 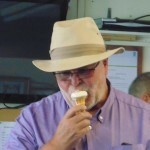 Of the 12, seven were members of the 1964 promotion team, Todd and Suggett had made it from the youth team, Porterfield had arrived 8 months earlier and was about to fall out with Alan Brown. 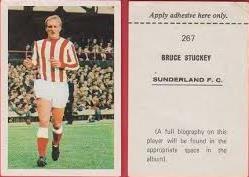 Harris was starting his first full season and Bruce Stuckey had been picked up by Ian McColl from Exeter City. 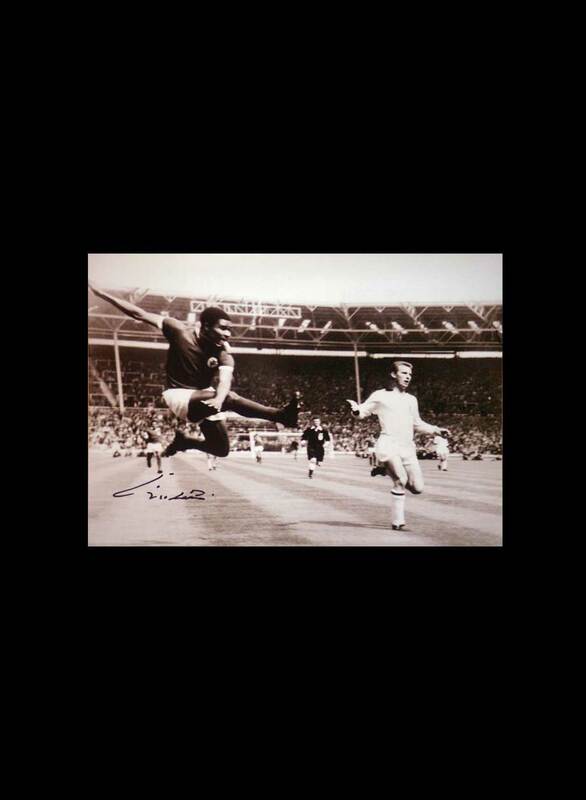 He made his name with a spectacular goal against Our Friends From the North in December 1967 but we allowed them to come back late in the game to get a scarcely deserved 3-3 draw. He scored his next one two years later in a 2-2 draw with Southampton before he went back to his Devonian roots at Torquay United. Mike Kelly; Tony Hazell, Allan Harris; Mike Keen, Ian Watson, Frank Sibley; Ian Morgan, Mick Leach, Frank Clarke, Les Allen, Roger Morgan. Sub; Keith Sanderson for Leach 38 minutes. 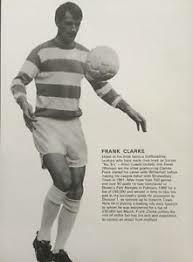 Frank Clarke was the eldest brother of Alan “Sniffer” Clarke, the man on the receiving end of The Greatest Tackle Ever Made by a Sunderland Player a few years later. 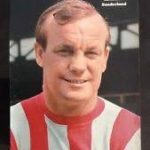 He was a prolific marksman for Shrewsbury Town, Rangers, Ipswich Town and Carlisle United, where his goals helped to propel the Cumbrians into the First Division in 1974, at our expense. His four siblings all played in the Football League, starting out at Walsall. Frank dodged that bullet. 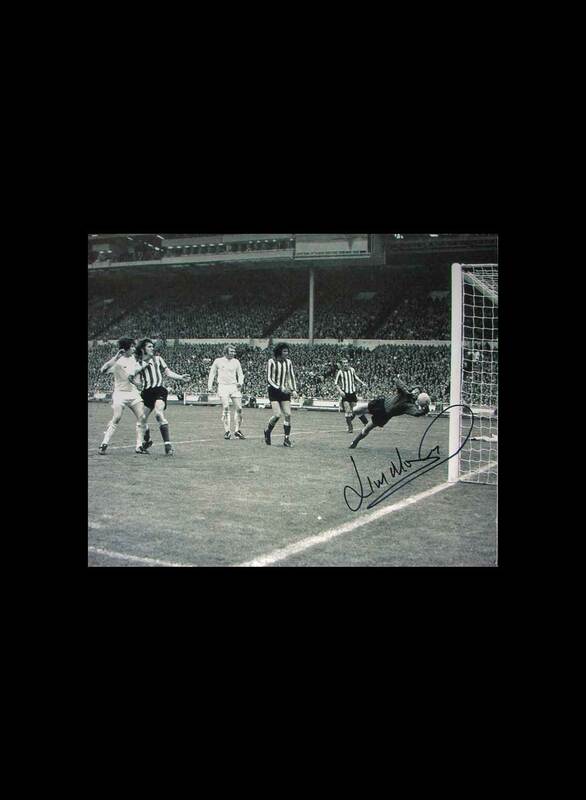 Gordon Harris, he of the incredibly low centre of gravity, opened the scoring in the sixth minute only to see it cancelled out by a Les Allen penalty three minutes later. Back we came and a delightful chip by The General was headed into his own net by Mike Keen in the 20th minute. We held the lead until the 63rd minute when Clarke levelled and the crowd , complete with novelty drummer, urged Rangers on for the winner. But we stood firm (how couldn’t we with Harvey, Hurley and Todd in the back four) and gained a well-deserved point. After the game, Don Coupland and I went into the QPR Supporters’ Club for an equally well deserved pint. 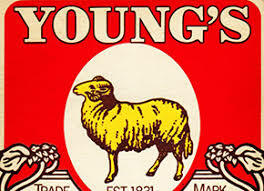 The Young’s Bitter was very different from the sweet North Eastern beers that we were used to but was not unpleasant and far better than the Tavern Keg and Double Diamond that was beginning to proliferate. However, we did not finish it because some loud mouthed a*** came across and ordered us to put the pints down and get the f*** out of here now. I have had an aversion to Rangers ever since. The bus dropped me back in Darlington at some ungodly hour and I walked up to the railway station for the first train back to Shildon. Walking home, I passed Joe Blacklock who lived two doors down from the then Sixsmith Towers (up the road from Randall Grange) and he informed me that Soviet troops had gone into Prague, bringing the Prague Spring to a tragic end. I bought a Guardian at Bill Clarkson’s paper shop and read about the background and listened to Jack DeManio on the Today programme before my parents got up for the first of their many cigarettes that day. 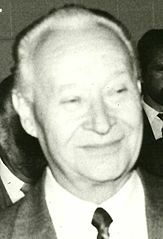 The Alexander Dubcek photo was found at https://commons.wikimedia.org/wiki/File:Dubcek_1991.jpg, posted by OISV. The Soviet invasion clip was found at https://www.youtube.com/watch?v=Gy50YIU4P8E&feature=youtu.be, posted by Jonny. If there is any copyright claim, not answered by ‘fair use’ exemptions, on the images used to illustrate this report, please make us aware and we will add credits or remove as requested. “It put football into some kind of perspective” as does the splendid writing for this series. The best I have read this past eight months apart from “Dadland” by Keggie Carew. Give it a go. 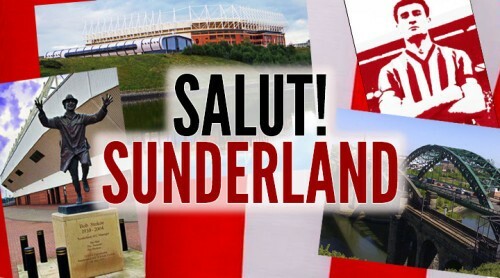 Wonderful post and great photo of the football ground. Not quite sure which football ground it is but can assure you that it is not Loftus Road!! Right, ladies and gentlemen. Name this ground if it is not as described ‘Loftus Road in the 1960s’ ….